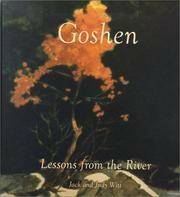 Goshen: Lessons from the River: Writings, Watercolors, Drawings, Sculpture. White Stone, VA Brandylane Publishers, 1999. Hardcover First Edition , unstated. SIGNED BY THE AUTHORS. First Edition , unstated. Near Fine: shows only the slightest lean to the binding, which remains perfectly secure; else flawless; the text is clean. Virtually 'As New'. NOT a Remainder, Book-Club, or Ex-Library. Oblong 8vo. 65pp. Hardback: No DJ 'as issued'. A collection of writings, watercolors, drawings and sculpture by husband and wife artists Jack and Judy Witt. Together, they reveal how a mystical place in the Virginia mountains has shaped and transformed their art and their relationship to one another. The book includes 29 illustrations of original watercolors, drawings and sculptures, poetry and personal essays, all inspired by this place called Goshen. SIGNED BY THE AUTHORS. The Travelers' Book of Color Photography. Van Phillips and Owen Thomas. New York, NY Crown Publishers, 1966. Hardcover First Edition , unstated. Very Good: shows light wear to the extremities and the lower corner tips have been mildly bumped; just a touch of rubbing to the panels; slight spine lean. The binding remains perfectly secure; the text is clean. Shows some minor flaws, but remains clean, sturdy, and quite presentable. NOT a Remainder, Book-Club, or Ex-Library. Jumbo Folio. 256pp. Profusely Illustrated with Photographs in Color. Decorative Cloth over Boards. Decorated Endpapers. First Edition , unstated. Hardback: Lacks DJ. 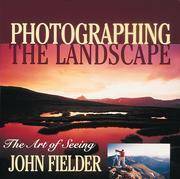 "This beautiful book, packed with practical advice and instruction supported by a wealth of color pictures, is probably the most useful and valuable guide for the amateur photographer ever published." 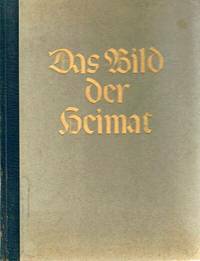 Edition: First Ed thus, later printing. Edition: First Ed thus, but later printing. Rohnert Park, CA Pomegranate Communications, 1999. Card Book First Ed thus, but later printing. Very Near Fine in Wraps: shows only the most minute indications of use: just a hint of rubbing to the wrapper covers; binding square and secure; text clean. Very close to 'As New'. NOT a Remainder. NOT a Book-Club Edition. NOT an Ex-Library copy. Contains all 30 full-color Postcards. First Ed thus, but later printing. Paperback: Pictorial Wraps. A fascinating and visually awe-inspiring book of postcards of megalithic structures (henges, monoliths, standing stones) of the British Isles. Each postcard has a short explanation of the site and room to write your own message. 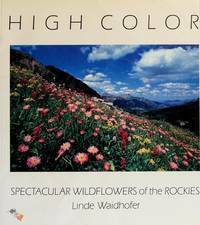 High Color: Spectacular Wildflowers of the Rockies. Telluride, CO Western Eye Press, 1988. Paperback First Ed, unstated. First Ed, unstated. Near Fine in Wraps: shows only the most minute indications of use: binding shows the slightest spine lean, but remains perfectly secure; text clean. Just a hint of wear to extremities; mildest rubbing; faint crease near the outside edge of the front panel appears to be a minor production flaw; else flawless. Close to 'As New'. NOT a Remainder, Book-Club, or Ex-Library. Slightly Oblong 4to. 96pp. Paperback: Pictorial Wraps. Profusely illustrated in beautiful color photographs. Photography by Linde Waidhofer. A visual feast, a collector's album of the most beautiful wildflowers in the Rockies, photographed with patience, passion, and a supremely sensitive eye, and reproduced with fanatical attention to quality. Each flower is identified by its common name, but a detailed key at the end of the book gives more information. Untitled 7/8: On Change and Exchange. Carmel, CA Friends of Photography, 1974. Paperback Very Good in Wraps: structurally sound, but shows fairly heavy foxing and toning at both panels; just a touch of wear to the extremities; mild rubbing to the wrapper covers; has a faint musty odor; the binding is secure; the text is clean. Rubber-stamped date at the lower corner of the front endpaper. Free of any ownership names, dates, addresses, notations, inscriptions, stamps, or labels. No longer 'As New', but remains a sturdy, presentable copy. NOT a Remainder, Book-Club, or Ex-Library. 4to. (11 x 8.5 x 0.2 inches). 80 pages. Weight: 10.2 ounces. Quarterly of the Friends of Photography. Paperback: Pictorial Wraps. Photographers in this issue include: Victor Landweber, Aaron Siskind, Imogen Cunningham, Ansel Adams, Judy Dater, Jack Welpott, Ralph Gibson, Jerry Uelsmann, Robert Heinecken, Lewis Blatz plus several others.Executive Director and Editor: Fred R. Parker. Edmonton: Hurtig, 1982. First edition. Hardcover. Fine/Fine. Beautiful color photos by 42 photographers with essay by Robert Fulford and intro by Kraulis. 127 pp. Munich, Germany Deutscher Kunstverlag, 1951. Hardcover Good+ in Good DJ: Book shows indications of moderate use: binding shows considerable lean; but remains quite secure; just a hint of wear to the extremities. DJ shows significant wear to extremities; with several small chips and a number of short, closed tears; shows mild rubbing and faint, but pervasive soiling; unclipped. Overall, remains a clean, sturdy, tightly-bound copy with a clean text in a somewhat tatty DJ. NOT a Remainder, Book-Club, or Ex-Library. 4to. 35 pages of Explanatory Text, Aufgenommen vom Archiv Foto Marburg with 62 full-page photographic plates in black & white. The text pages have tanned heavily, but the plates are presented on high-quality slick paper. Map. Hardback with DJ. Munich, Germany Deutscher Kunstverlag, 1953. Paperback Signed by a Previous Owner at the front end paper: Renowned Classics Professor Hermann Frankel. Good+ in Good+ DJ: Book shows indications of moderate use: binding shows slight lean; but remains quite secure; light wear to the upper extremities, somewhat heavier along the bottom edge. DJ shows significant wear to extremities; with several small chips and a number of short, closed tears amd beginning to split at the bottom of the front hinge; shows mild rubbing and faint, but pervasive soiling; at the rear panel unclipped. Overall, remains a clean, sturdy, tightly-bound copy with a clean text in a somewhat tatty DJ. NOT a Remainder, Book-Club, or Ex-Library. 4to. 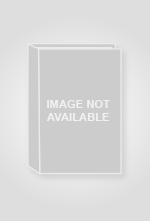 29pp of Explanatory Text with 64 full-page photographic plates in black & white. Map. The text pages have tanned heavily, but the plates are presented on high-quality slick paper. Paperback: Heavy Cardstock Wraps with Pictorial DJ. Hamburg: Deutsche Buch/ Gemeinschaft. Very Good with no dust jacket. 1951. 1. Hard Cover. B&W full page photographic illustrations of landscapes of Europe, endpapers illustrated with maps and mountain ranges.. Some spotting to front cover and wear at tips, else fine. VERY GOOD.. B&W Photographic Illus. 199 pp . Carmel, CA Friends of Photography, 1973. Paperback Very Good in Wraps: structurally sound, but shows fairly heavy foxing and toning at both panels; just a touch of wear to extremities; mild rubbing to wrapper covers; faint musty odor; the staples have rusted a bit; binding secure; text clean. No longer 'As New', but remains clean, sturdy, and quite presentable. NOT a Remainder, Book-Club, or Ex-Library. 4to. 29 pages. Quarterly of the Friends of Photography. Photographs by Victor Landweber, Claire Steinberg, Lucinda Bunnen, Elaine Mayes, Linda Tenukas plus several others). Front cover photo by Arthur Tsuchiya, rear cover photo by Tricia Sample, both in black & white. Contains "The Juried Exhibition" by Peter Thompson and articles by William Webb, Robert W. Corrigan et al. Paperback: Staple-bound Pictorial Wraps. 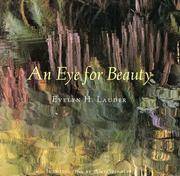 An Eye for Beauty: Photographs of Evelyn Lauder. Picturing California: A Century of Photographic Genius. Edition: First Ed thus, but unstated. San Francisco, CA Chronicle Books, 1989. Paperback First Ed thus, but unstated. First Ed thus, but unstated. Near Fine in Wraps: shows only the most minute indications of use: shows light stratchings at front panel and Mild rubbing; binding square and secure; text clean. Very close to 'As New'. NOT a Remainder. NOT a Book-Club Edition. NOT an Ex-Library copy. Oblong 8vo. 152pp. Afterword by the Editor. 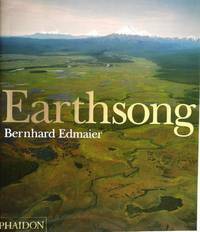 Introductory Essay by Bill Barich. Works by Ansel Adams, Wynn Bullock, Edward Curtis, David Hockney, Dorothea Lange, Edward Weston, & others. Photo checklist; Selected Bibliography; Index of Artists. Gatefold Wraps: Pictorial Paperback. Munich, Germany Wilhelm Andermann Verlag, 1966. Hardcover First Ed, unstated. Fine: Binding square and secure; text clean. Virtually 'As New', showing no flaws [surely this book began its life with a DJ, which is no longer present here]. NOT a Remainder, Book-Club, or Ex-Library. Oblong 12mo. 61pp. Illustrierte von 30 Farbaufnahmen von Macel Gautherot. Einfuhrung von Wladimir Murtinho. Text und Bildbeschreibungen von John und France Knox. Ubersetzung von Ilse Fein und Wolfgang Pickardt. First Ed, unstated. Hardback: Lacks DJ. Keith (Guo Ji) Liang Photography The Art of Nature. Guo Ji Lian Photography Publishing, 1998. Hardcover First Edition , unstated. First Edition , unstated. Very Good+ in Very Good+ DJ: Both book and DJ show indications of very careful use. Book shows just a touch of wear to the top edge of the front panel, near the hinge; former owner's surname printed in large letters at the bottom of the front pastedown endpaper; else flawless; the binding is square and secure; the text is clean. The DJ shows a little roughing at the top of the front hinge and a short tear at the same; else only only a touch of mild rubbing; unclipped. Overall, remains a handsome, near perfect copy in a like DJ. NOT a Remainder, Book-Club, or Ex-Library. Square 4to. (10.25 x 10.25 x 0.55 inches). 107 pages. Profusely illustrated with sumptious color photography. Introduction by Yuan Li. Weight: 1 pound, 13.6 ounces. Hardback with DJ. Photographing the Landscape: The Art of Seeing (Revised for Film and Digital). Englewood, CO Westcliff Publishers, 1996. Paperback Second Edition (2005). Very Near Fine in Wraps: shows a very faint crease at the top of the front panel; very mild rubbing to the panels; the binding shows a little lean - quite common in books of this oblong shape - but remains perfectly secure; the text is clean. Free of any ownership names, dates, addresses, notations, inscriptions, stamps, plates, or labels. A handsome, nearly-new copy, structurally sound and tighly bound, showing the mildest wear and a couple of minor flaws. Close to 'As New'. NOT a Remainder, Book-Club, or Ex-Library. 4to. (10.5 x 10.6 x 0.65 inches). 191 pages. Profusely illustrated in color. Language: English. Weight: 2 pounds, 8 ounces. First Edition , unstated. Second Edition (2005). Trade Paperback. Kilimanjaro: The White Roof of Africa.